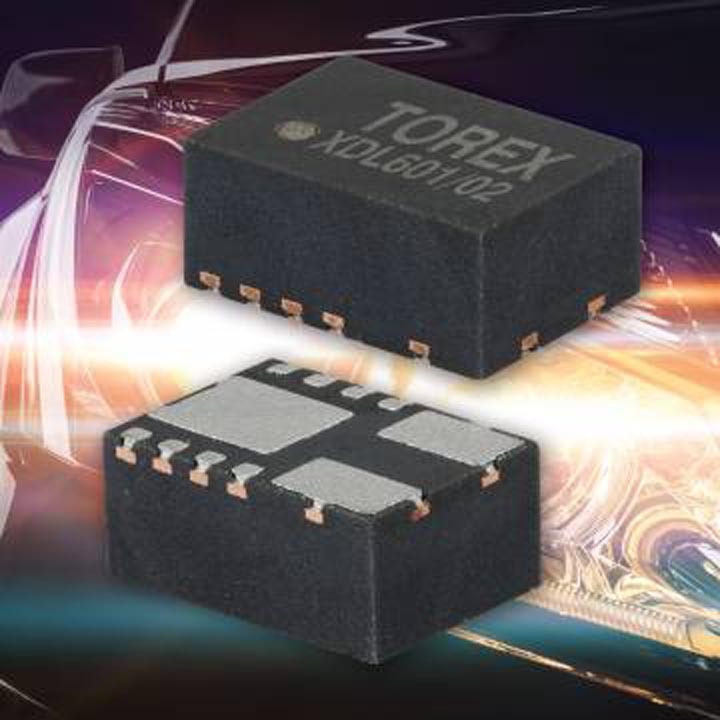 Torex Semiconductor has launched the XDL601/XDL602 series of HiSAT-COT control and 1.5 A coil-integrated step-down “micro DC/DC” converters for automotive applications. The XDL601/XDL602 series consist of ultra-compact step-down DC/DC converters with integrated coils and control ICs. 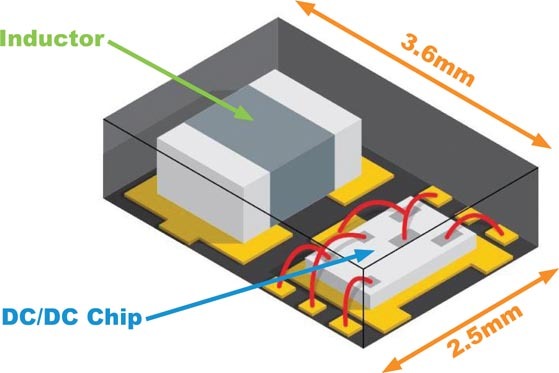 Simply adding two ceramic capacitors to their external components can make it possible to create a power supply circuit with a maximum of 1.5 A, and a 50% or greater reduction in space compared to structures using stand-alone DC/DC converters. Since the coil is built-in, board layouts can be simplified to minimize malfunctions, noise, and other problems arising from component placement or wire routing. The design of XDL601/XDL602 DC/DC converters. The input voltage can range from 2.5 V – 5.5 V and the output voltage from 0.8 V – 3.6 V (standard voltage settings exist), with a switching frequency of 3.0 MHz and a circuit system which employs synchronous rectification. The operating mode uses “HiSAT-COT control” which has outstanding transient response characteristics, and allows either “PWM control” or “PWM/PFM automatic switching control” to be selected depending on the application. “PWM control” is capable of suppressing output ripple voltage to a low level, while “PWM/PFM automatic switching control” can achieve high efficiency over all load ranges from light to heavy loading. The XDL601/XDL602 series are compliant with AEC-Q100 Grade 2, at an operating temperature range of –40 °C to +105 °C. Their package is an ultra-compact DFN3625-11A (3.6 × 2.5 × h1.6 mm) which uses a wettable flank structure. Fillets are formed at the sides of the terminal, allowing automatic visual inspections of solder joints to be performed.